Hemp is an easy to grow and renewable resource just waiting to be harnessed. The plant holds truly revolutionary potential, in that it could effectively replace a large number of currently unsustainable industrial practices and products. Hemp is often called God’s gift to mankind, and it is easy to see the advantages of this magnificent plant. Hemp has wide, practical implications as a sustainable and renewable resource affecting almost every major industry. However, due to decades of propaganda and misinformation, hemp is still not getting the attention it deserves. Hemp, cannabis and marijuana, what’s the difference? In essence, hemp and cannabis are the exact same plant. The only difference is that hemp was cultivated to contain the lowest possible amount of cannabinoids, while cannabis was bred to contain the highest possible amount of cannabinoids. Both hemp and cannabis are part of the same Cannabis sativa genus of the Cannabaceae family. While they are often regarded as two distinct plants, they are really just different cultivars of the same plant. 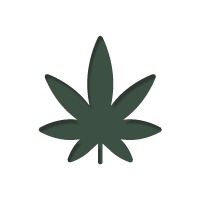 In cultivation, the energy of the plant can be directed to either produce abundant fibre for industrial applications, or to produce large buds for medicinal and recreational use. But the plant can‘t abundantly produce both with the same yield. As a result, even from a cultivation point of view, it makes sense to develop strains with different end products in mind. However, more than this, hemp and cannabis have become different entities primarily because of the psychoactive nature of its beloved flowers. While many believe that the use and cultivation of hemp suffered due to the prohibition of cannabis, some believe that it was exactly the other way around. The value of hemp was recognised early as a superior raw material, and indeed it has found many applications in the industry. In fact, the plant was too good to be true; it became a serious competition to the still emerging and growing chemical industry during that time. Also, the oil industry feared of its profits facing the superior fibre of the hemp plant. In order to preserve the dominance of synthetic fibre and petrol based fuel and plastic, the plant had to be outlawed. Its psychoactivity just came in handy, but maybe wasn‘t the primary reason for the cannabis prohibition. The legal status of hemp varies from country to country, and additionally the laws are in constant change. Just recently the new farm bill passed in the U.S. allows for the cultivation of hemp for research purposes, and some states even allow hemp cultivation for industrial applications. But in the U.S., it is still not federally legal, to cultivate hemp freely. Europe and China, on the other hand, are much more liberal when it comes to hemp. China is the worlds leading producer of hemp, but smaller plantations also exist across Europe. France is currently producing the highest output of industrial hemp in Europe. Up until its recent downfall, hemp has historically been used as a source of sustenance, (and still is throughout parts of Russia and Asia). Furthermore, the food that can be created from its seed is perfectly balanced for human nutrition. Of all of the edible planzs on this planet, (and there are over 3 million), none compare to the nutrition offered by hemp seeds, with its perfect balance of amino acids, oils and fatty acids. 65 percent of the proteins contained within hemp are so called globulin edestin, which provide all of the protein our body needs. Proteins that are used to create anti-bodies and help maximise nutrient absorption, maintain organs and even build up muscle – hemp seed is so suited to the needs of the human body that many health professionals and personal trainers consider it a supplement far superior to any other protein powder available on the market. Hemp also contains a great deal of healthy fatty acids, which are used to maintain a range of circulatory tissue, such as blood vessels and arteries, as well as keep things like our eyes, hair and skin looking healthy. Not to mention all of the vitamins, minerals and phytosterols hemp seed also contains. Such is the power of hemp seed that researcher R. Lee Hamilton, a famous biochemist, views hemp seed as the answer to world hunger and the opportunity to reach super health. He has said that “The insane prohibitions against the most valuable plant on Earth, cannabis hemp, must yield to public demand”. It is these powerful nutritive and immune system bolstering characteristics that have lead so many in the scientific world to believe that cannabis could go a long way to solve world hunger. It is estimated that 60 percent of children born into 3rd world countries will die of protein starvation before they reach the age of five. Hemp seed could very well be the key to this issue. Furthermore, hemp is a highly resilient plant that can grow in hostile condition such as those found in Africa – it is worth noting the Australians survived two extremely prolonged famines during the 19th Century on hempseed alone. Another use of hemp that has dates back thousands of years is the creation of clothing and textiles from its fibres. These have ranged from strong, durable rope, to comfortable soft garments. It only fell out of mainstream use due to the pressure from the cotton and synthetic fibre industry. There is no good reason for not making hemp clothing, and anything that can be made with cotton can be made just as nicely with hemp - but with considerably less environmental impact. There are two main types of fibres within hemp plants, known as bast fibres (long, made of the plant stem) and the hurds (the short inner fibres of the stem). 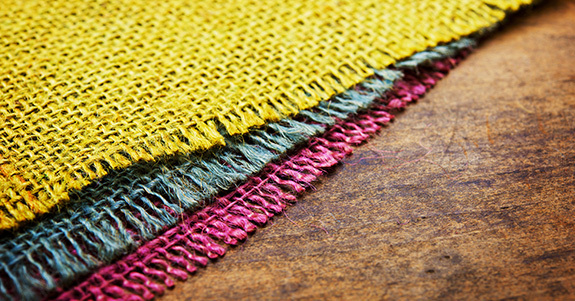 It is the bast fibres that are best suited to the production of textiles, and account for 20 – 30 percent of a hemp plant stem. It was the need for these fibres that largely fueled the hemp industry before it was prohibited. The long bast fibres can be split further into two groups. These are primary and secondary bast fibres. Primary bast fibres are extremely long, high in cellulose and low in lignin – making them some of the strongest plant fibres known to man. They account for up to 70 percent of the bast fibres present within a hemp stem, and were traditionally the most valued. Secondary bast fibres, whilst useful, were less valued. They are much shorter than primary bast fibres but still have a high cellulose and low lignin levels. They are prevalent in crops that are spaced out, causing hemp plants to grow squatter as they have little competition for sun. Both of these fibre types can be turned into soft, comfortable, yet durable clothing. Furthermore, according to research conducted by the Stockholm Environment Institute, hemp requires half the land, less chemical fertilisers and less water than cotton requires to produce textiles of the same quality – making it a much more environmentally harmonious choice. Throughout much of civilised history, hemp was the main source for textiles. For millennia, 90% of all ships sails and ropes we made from hemp. Cotton is an extremely destructive crop, taking up 50% of the world’s pesticide stock to grow. It is pesticides that are responsible for the dying of the bees, deteriorating quality of soil and water; they are also potent carcinogens, which often find their way into the food chain and finally end up in humans. Conversely, hemp can be grown organically without pesticides as it is an extremely resilient plant; furthermore, this resilience allows hemp to be grown pretty much in any condition. Hemp has further been found to improve the soil quality, particularly when used in a crop rotation system. Cotton on the other hand requires very specific growing conditions, and a great deal of water. There is one country that still uses hemp for clothing, and that is China. China has not put the same restrictions on hemp as the rest of the world, and as a result has had over 6,000 years of producing safer, softer and more comfortable textiles. The medicinal benefits of high cannabinoid cannabis have been scientifically well established in the last few decades. THC, CBD and many of the lesser known cannabinoid show highly promising effects for a variety of ailments, such as cancer, epilepsy, MS, PTSD, mood disorders and many more. Although hemp contains next to nil amounts of THC, it can be grown to contain higher amounts of CBD, which has also been established as therapeutically beneficial. CBD is a wondrous cannabinoid that has shown to have profound effects on many ailments, as recent research has shown. While the obvious choice would be to use the whole range of cannabinoids for treatment, this option is the most difficult one due to the restrictive laws. The psychoactive nature of THC is often cited as a reason why cannabis based medicine is unusable or even dangerous. While there certainly are applications where a high should be avoided - such as in children - the psychoactive nature of cannabis often contributes to the overall healing effect of the medicine. Also, THC shows potent anti-tumour and anti-inflammatory properties by itself. However, the discovery of CBD divorced many healing properties of cannabis from the high, which is a great development. Industrial hemp can be easily cultivated to contain higher levels of CBD and next to zero THC. Already now, many strains naturally contain CBD levels of up to 5%. 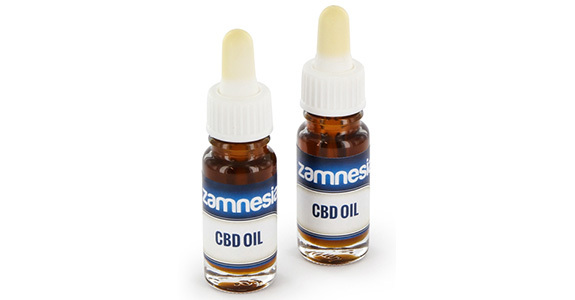 With this CBD rich content it is possible to make an array of extracts and medicines, ranging from CBD rich oil, to tinctures, to solid consumables. Furthermore, the ease and speed with which hemp grows means that nearly anyone could produce their own medicine in their backyard. Originally, CBD was only thought to act as a modulator and regulator of THC, meaning it has largely been overlooked by scientists and breeders. Whilst it is true that CBD does affect the way THC interacts with the body, it has now been shown to have many more effects on its own. CBD can potentially be used to treat things like multiple sclerosis, Crohn’s disease, cancer, Alzheimer’s disease, epilepsy, PTSD, Parkinson’s disease, chronic pain and insomnia, just to name a few. The list goes on, and scientific research is finding promising new applications every month. (Please note: many of these studies are small scale experiments, in vitro or conducted on animals, such as mice, with similar biological systems to ourselves. It is only now that scientists are moving larger scale human testing – all though all reports are encouraging so far). This research, published in the US National Library of Medicine, was conducted to investigate the effects of CBD on cancerous breast tissue. CBD was found to inhibit and even significantly reduce tumour mass. This implies that CBD has a role to play in the fight against cancer. This study, available on the US National Library of Medicine, investigated and further expanded upon research into the effect of CBD on prostate cancer. Significantly positive results were found, with CBD causing death of prostate cancer cells. It was concluded that clinical, human trials into the matter should be supported. This research, published in the US National Library of Medicine, investigates the effects of CBD on convulsions caused by epilepsy. It was found that CBD inhibited epileptiform activity, reducing the occurrence of seizures. The oil that can be extracted from hemp seed is extremely rich in nutrients and minerals that are highly beneficial to the skin and hair. 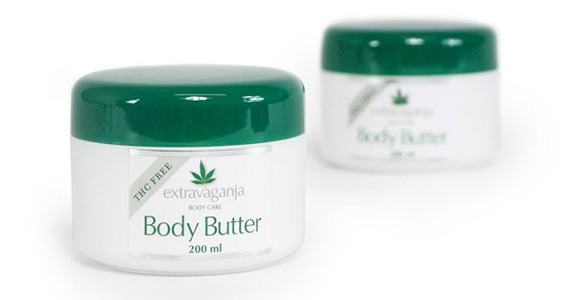 Further, new research has found many cannabinoids to be beneficial for the skin. As a result, hemp has been used as a main ingredient in many cosmetics for a very long time. Even in countries where hemp is illegal to grow, or controlled, the cosmetic industry has been able to use hemp seed for the production of products. Despite strict control, the US, UK and Germany have three of the largest cosmetic industries that use hemp in their products. With the current trend of cannabis reform taking place, more people are actually becoming aware of the beneficial qualities of cannabis and hemp. As a result there has been an influx in companies not only using hemp in their products, but also advertising it as the main ingredient. It is now possible to get hemp balms, creams and hair products that help maintain a natural beauty. There are very few mineral and vitamins that can be found in hemp seed oil that are not beneficial to the skin in some way; however, it is omega-3 and omega-6, two essential oils that are currently most highly prized by the industry. The role of the cannabinoids on the skin is only slowly being understood, but initial research is promising. 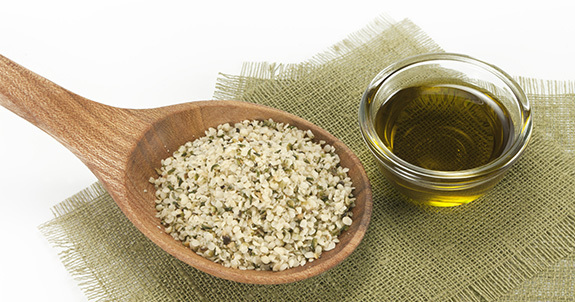 The essential fatty acid profile of hemp seed oil is one that closely matches our skin. The amount of essential fatty acids it contains is perfect for maintaining our natural barrier against the elements and disease. It is this similarity that allows hemp seed oil to replenish so much moisture when topically applied. As we age the polyunsaturated fatty acids that make ceramides flexible are replaced with saturated fatty acid, causing wrinkles. The fatty acids within hemp seed oil work as an anti-inflammatory as well as compensate for this lack of ceramide flexibility that comes with age. This reduces the process of aging. Acne is a very common skin disease that can affect people of all ages, especially those in their teens. The fatty acids contained with hemp seed oil based products have shown to decrease the inflammation caused by acne, preventing breakouts and causing a therapeutic effect. The use of soap on the face has long been discouraged by doctors. To meet this, the cosmetic industry has made moisturising and cleansing creams. The most common types are cold cream and surfactant-based cleansers that moisturise, clean and remove makeup. The high content of essential fatty acids of hemp seed oil can be used in these to increase spread-ability and reduce defatting of the skin. Sun blocking cream is normally made up from a formulation of some very heavy oils. As a result, it can leave them being quite thick and greasy. Hemp oil can be used to counter this. Furthermore hemp oil improves the moisturising effects and spread-ability of sun block. Irritation when shaving is caused by resistance of the hair to the cutting edge. Hemp seed oil offers high lubrication to shaving products, as well as moisturising benefits, stopping the skin from drying out. Hemp seed oil can be used in a variety of make-ups. In lipstick, the use of hemp seed oil delivers an improved overall feel by creating a smoother application with less resistance, offering superior emollience and preventing the drying effects of other ingredients such as bromo acid dye solvents. These traits carry over to other make-ups, reducing greasiness and improving moisture retention and spread-ability. As one of the richest sources of essential fatty acids, hemp seed oil assists in the formation of strong and healthy keratin – the main protein in hair. The lipid content of hemp seed oil also increases elasticity, volume, shine and the easiness with which hair can be combed. For this reason, it is not uncommon for hemp seed oil to be used in shampoos and hair styling products. Hemp has the potential to revolutionise the building sector and make for much greener housing. All major components of hemp (oils and fibres) can be utilised by builders. These versatile components can be shaped and used to recreate the characteristic of woods, concrete, plastic, bricks, insulation and even panelling. As things currently stand, it usually costs more to construct a house using hemp products. This is due to the legal status of hemp, meaning that the products can be quite hard to source – and with anything in a capitalist market of supply and demand, if the supply is low, the cost is high. As reform takes place and hemp production increases, we should see an decrease in price of hemp building products. Nearly every part of a house construction can be done using hemp products. 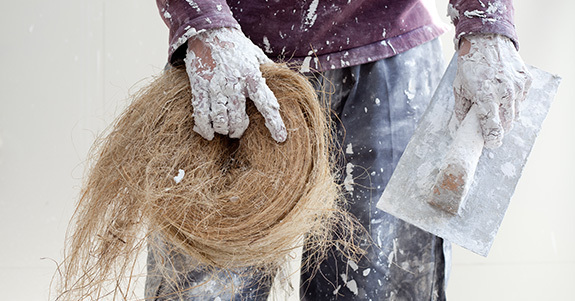 Hemp can be made into bricks, concrete, wall boards and plaster. Pipes can be made out of hemp plastic, carpet can be made out of hemp, insulation can be made out of hemp, and even paint can be made from hemp oils. The versatility hemp offers as a green resource is staggering. The real gem of hemp based building products is “hempcrete”, a concrete formula made of hemp. Hempcrete can be used for walls and foundations, is seven times stronger, half the weight and three times more pliable than normal concrete. Hempcrete is also a very breathable product, allowing moisture to be transferred out of the building, preventing dampness and mould. As hempcrete is exposed to the elements, it continues to petrify, increasing in hardness over time. This means hempcrete walls have the potential to last thousands of years. This is quite a contrast to a hundred years or so we achieve with current „modern“ construction. Furthermore, the extremely high levels of cellulose contained within hemp absorb and lock away carbon dioxide. This means that if the average house was made out of hempcrete, it could lock away up to 20,000 lbs. of carbon – saving greatly on the carbon footprint of the construction. All in all, you get a carbon negative, local and renewable resource that is easy and non-toxic to work with, all while providing superior insulation and strength.